In honor of Memorial Day, Flag Day and Independence Day, we think of the many wonderful historical, patriotic, and unique places to visit right here in the United States! For an all-American vacation that combines using brain cells, burning calories, relaxing, and experiencing one-of-a-kind places, the following destinations make a great weekend getaway or full-fledged vacation that’s brimming with great stories! Washington: Smithsonian museums with something for every age and interest; Arlington National Cemetery for a poignant and humbling experience; The Capitol and White House for a glimpse of government proceedings. Philadelphia: visit Independence Hall and the Liberty Bell to soak in the colonial times, play and learn at the Franklin Institute, and run like Rocky up the steps of the Philadelphia Museum of Art then go inside it and explore! Much more here. Boston: take a walking tour along the Freedom Trail including a stop at Faneuil Hall, enjoy a baseball game at Fenway, or saunter around the Public Garden and taking a swan boat ride (a must do!). NATURE: Then there are the U.S. National Parks, each one with its own majestic beauty unlike any other place on earth! Thankfully, there are options for all levels of physical fitness so people of all ages and abilities can experience these marvels of nature. Five parks in Utah must been seen to be believed! Arches National Park, Bryce Canyon National Park, Capitol Reef National Park, Canyonlands National Park, and Zion National Park give visitors the chance to see beauty up, down, and all around! And you can stay at a lodge right in the middle of the parks! The biggies: Yellowstone National Park, the Grand Canyon, and Yosemite National Park out west, and the Great Smoky Mountains National Park east of the Mississippi, and many more. These parks never disappoint due to their sheer size and variety of topography. PLAYTIME: And, there are built for fun places such as Florida, California, and New Orleans! New Orleans holds a special place in the hearts of all who visit! It’s got great architecture, culture, events, music, food, and people! In the Orlando, FL, area, theme parks offer pure escapist fun for kids of all ages. Planning and following expert advice helps travelers get the most out of their time and money. Walt Disney World has four diverse theme parks plus plenty of other activities, while Universal Orlando offers visitors a walk through Harry Potter’s world along with thrill rides. California offers everything from beach to mountain to city vacationing! Starting in the San Francisco area including wine country, travelers then drive down the coast, stopping to see Hearst Castle, Solvang, Hollywood, and ending with a relaxing few days in beautiful San Diego. These are just a handful of our “bucket list” destinations in the U.S., along with many more off-the-beaten-track and well-known sites. Many people successfully book trips themselves – but for those wanting to save time and get expert guidance, peace of mind, special perks, and insider tips, travel agents provide great value. 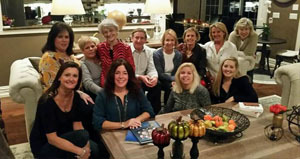 At Travelong of Summit, our consultants put their many years of experience and connections into action, planning customized vacations based on each client’s interests, time and budget. Share your vacation dreams with us and we’ll help make them come true! 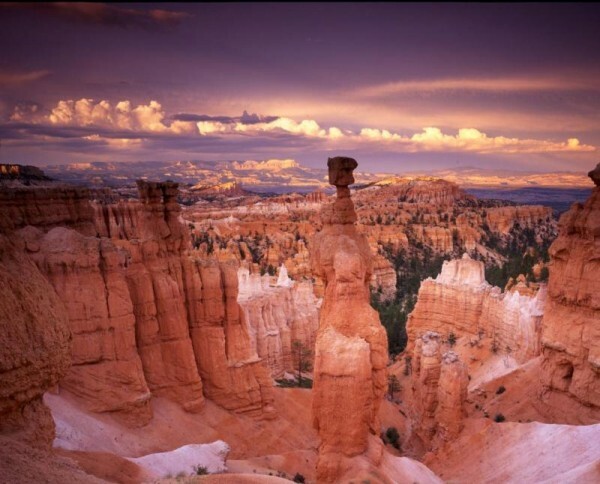 (Photo of Bryce Canyon courtesy of National Park Service).